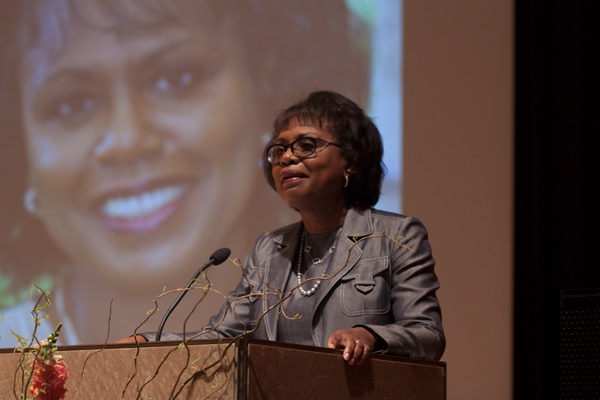 This wasn’t the case in 1991, when Anita Hill faced a Senate Judiciary Committee of fourteen white men to tell her story about the harassment she endured from her supervisor, current Supreme Court Justice Clarence Thomas. Most young women my age are only marginally familiar with the case that sparked a nationwide conversation about the realities of sexual harassment in the workplace, but we benefit each and every day from the results of Hill’s testimony. In the grand scheme of things, protection from such abuses in the workplace is a small victory in the fight to end violence against women and sexual harassment in general. We’re a long way from being able to self-police as a society against misogynistic attitudes and actions out on the streets. But Hill’s victory is no less important, for now we have structures in place to protect individuals in an environment which can be regulated. 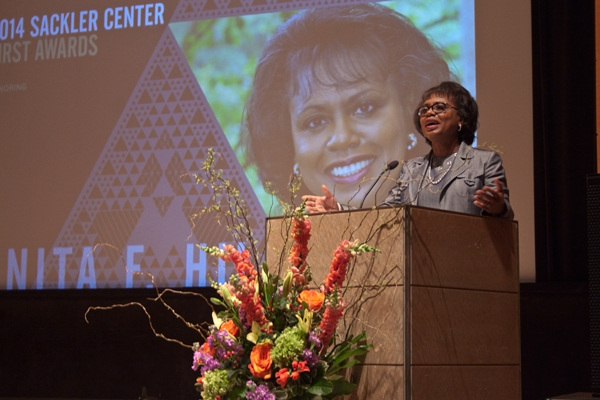 Last night, the Elizabeth A. Sackler Center for Feminist Art at the Brooklyn Museum awarded Ms. Hill the Sackler Center First Award. 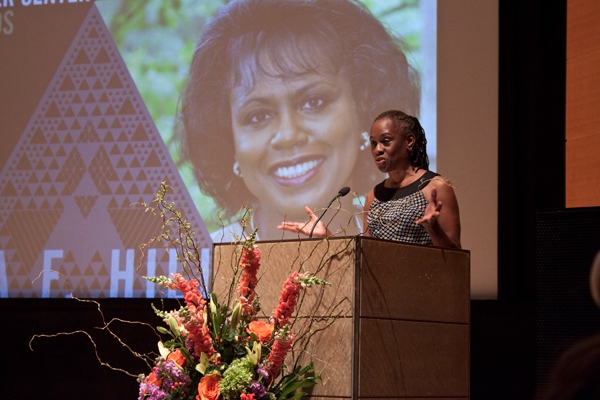 First Lady of New York City Chirlane McCray—who is an ardent feminist writer and activist as well as a former member of the Combahee River Collective—provided opening remarks, thanking Hill for speaking up. “As a result of your bravery, all of our daughters expect to be respected in a way they never did before,” she said. 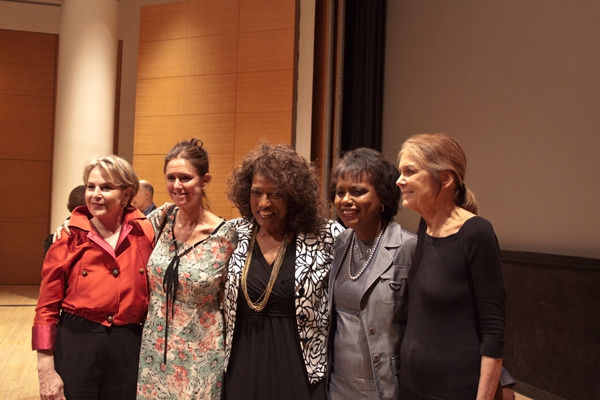 The ceremony began with a screening of Freida Lee Mock’s Anita, a powerful documentary about Hill’s life and the hardships she endured as she dealt with the sexual harassment case against Clarence Thomas. The documentary opens with a voicemail from Thomas’s wife Virginia in 2010, asking that Hill apologize for her actions almost 20 years prior. It’s an ostentatious request, considering Hill had nothing to gain and so much to lose by coming forward with her testimony. 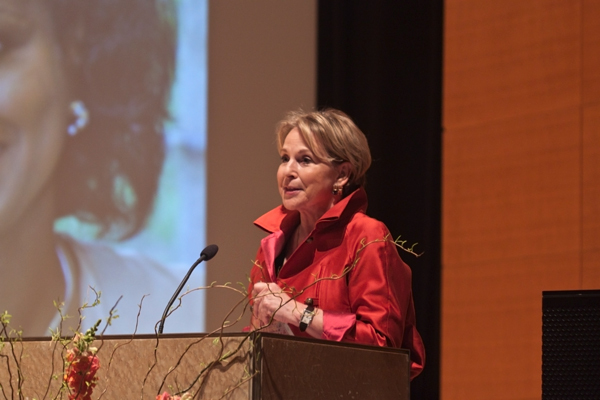 And despite death threats, threats of sexual violence, and even being pressured to resign from her faculty position at the University of Oklahoma College of Law, Hill has never backed down from her allegations. In starting Dinner Party, I wanted to provide a platform for women to speak about topics and issues they encountered or found interesting as modern feminists. Hill’s experiences and her strength reminded me of the importance of being able to tell our stories as women in our own terms, without aggravating questions from senators trying to belittle us or insulting insinuations from the media trying to destroy our credibility. Hill has certainly encouraged me to keep on with this humble publication. Some days, two hundred people might visit the blog. Others, only two. But today’s feminists have strong and powerful voices, and if I can, in even the most minuscule way, help amplify those voices, I’m happy to do so.